For the first time in history more people are living in urban environments relying degraded rural lands to grow enough food and ship it to us. It is time to start a global conversation about how to handle this paramount issue of our time. This is why Can YA Love is launching our first interactive community using Facebook. Facebook is a medium that people in communities around the world are familiar with, and our team in Kenya is no different. Using the Can YA Love Facebook page our team in Kenya, our US projects and people internationally can all be shared consistently and instantaneously. Right now our team in Kenya working with the KenYA Love Project, are sending photographs of some of the farming practices of the people in Kibera slum in Nairobi as well as the challenges the people face. So far the images that they are sending are encouraging, but have left us with no doubt that the Growing Pillars are needed immediately. To view our continuous feed of images from around the world, please visit the Can YA Love Facebook page. I will share some photographs with you here, to show exactly why CYL is needed and show you how fast information can travel. Most of these pictures were taken earlier this week. Click any photograph to view enlarged. It is estimated that the population of this community is greater than one million in an area approximately slightly larger than one square mile. This is made more difficult with single story housing leaving very little space. Walking through narrow corridors is the only form of transportation within Kibera. With population being so large, finding formal work is very difficult. 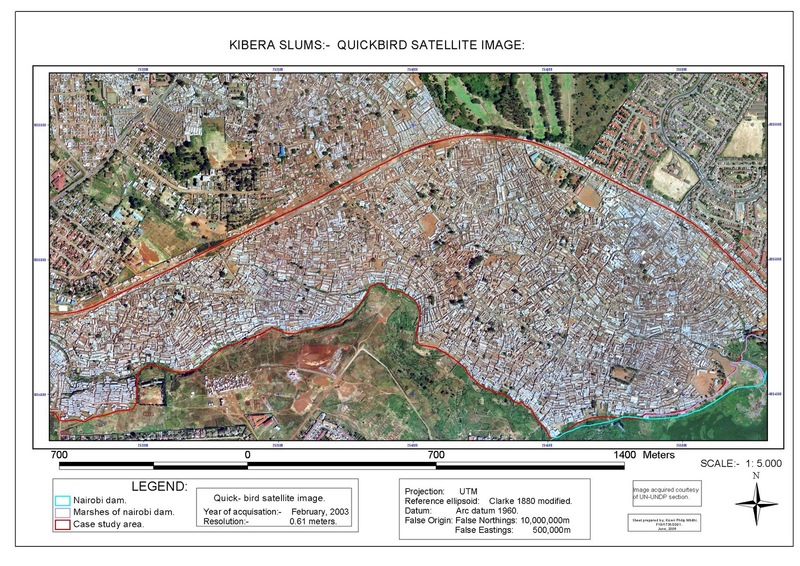 Average income in Kibera is estimated at $10-13 per week ($520-$675 per year). This does not include the thousands of orphans living without any parental support. Problem two. A lack of sanitation and sanitary systems. These corridors with sewage trenches are often major highways. 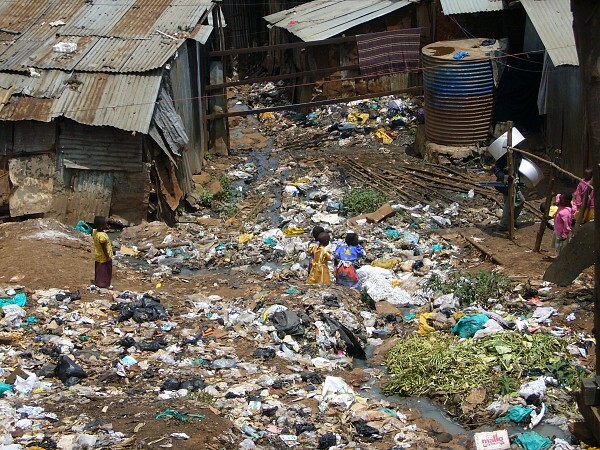 Because of the narrow passages (corridors) and lack of underground sewage, piles of waste continue to cause much of the diseases we see in the community. With one toilet per 300-1000 people in the community, raw sewage runs above ground in the corridor trenches, small rivers and trash heaps. I do not feel the need to explain what happens when the rains come and trenches overflow. To this point rainwater capture systems are few and far between. Problem three. A lack of clean water and nutritious foods. Growing kale from a former trash heap. Corn growing next to the river filled with raw sewage. People are trying to grow food. This is a good sign, but as you can see from these photos there is much work to be done. There are three main crops: corn, kale and spinach. People are growing wherever they can. With the income that most families have, it's grow or starve. Kale at the rivers edge. These pictures show how people are using sewage water as irrigation and fertilizers. 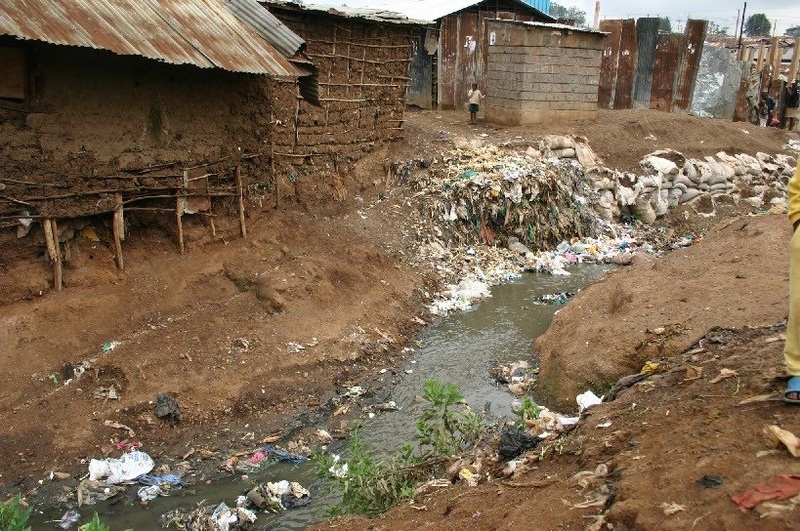 The pathogens that exist in this water are countless.This space is also limited to the people living on the exterior rim of the slums, not people living in the dense center. These sacks are growing on top of a trash heap. These sack gardens are taking over much of the space people used to grow food in the ground. The dirt in the sack is kept independent of the ground and can be elevated as to keep out of the toxic runoff. The sacks are inspiring. Growing in the narrow corridors is now possible. They have changed people’s lives and many in the community say they saved thousands of lives during the massive food shortages in 2007 and 2008. 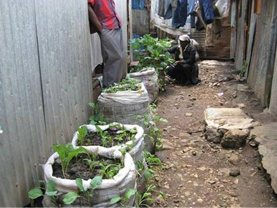 The Growing Pillar is only one of many systems that were inspired by the sack gardens from Kibera. 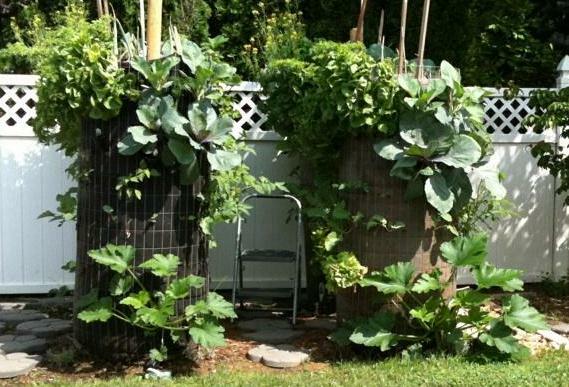 We made pillars that stand 4-10 feet tall and produce up to 130 square feet of growing surface. CYL will be releasing more of our innovative gardening systems in the coming months. Check out our growing time-line. Our focus is on using increased agricultural capacity to help increase the yield for families and the many self-help organizations that are growing in the slum communities. Many of these community based organizations (CBOs) are in need of funding to accomplish their lofty goals, but far too often when funds come in from the outside, monies do not find their way to the intended target. Giving gardens over money is our answer to this issue plaguing non-governmental organizations(NGOs) and project financiers around the world. 1. We will help diversify their crop and increase yields. This will clearly boost nutrition and the immune system, but will also give the farmers an advantage in selling crops that are rare in this community. Seed harvesting will give them seeds to grow more and sell. This continuous stream of funding can help community projects soar. 2. We will create the most water efficient gardens in the community. Clean water is rare and it is important to note that using these growing methods two things happen. First, all excess water is captured at the bottom for reuse. This, compared to water seeping out of the reach of roots and being lost in in-ground growing methods. Second, If people use sewage water for irrigation (not that we would ever recommend it), the water is kept from touching the edible parts of their plant, (excluding root vegetables if they growing from the top of these systems.) These systems can also capture rainwater and have low evaporation rates. 3. We will create a self-perpetuating system that will allow the farmers to continuously build more gardening capacity using large scale vermi-composting. This creates an opportunity to rid the community of large quantities of waste, that piles up and put it to good use. Compost has up to three times the water absorption capacity as does most soils. Compost is the perfect fertilizer is done properly. We will also educate farmers on the use of compost tea as fertilizer and ground regeneration. It is truly beyond self-sustaining. If you want to be a part of one of our projects or to create your own self-perpetuating urban garden project using one of our growing methods please contact info@canyalove.org for more information on how to start it and share it with people that can benefit around the world. Please DONATE today and have your own personal garden built for people that need it most.